What would make one of the most popular pasta shapes in the world even better? Ridges, of course! 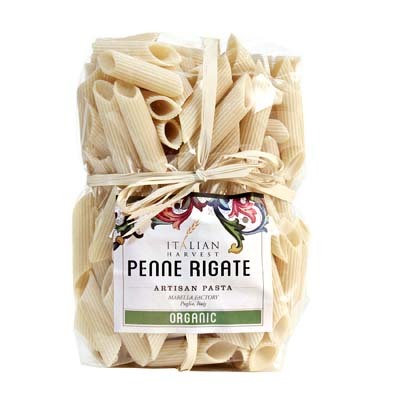 This pretty pack of Penne Rigate is from artisan pasta maker Marella. And not only do these classic pasta shape have ridges, but they’re also 100% organic. Penne is a highly versatile pasta. You can serve these beauties with any of your favorite sauces, may it be pesto, tomato, or marinara. They also taste great with besciamella and mozzarella. Or if you prefer, use them in your pasta salads. A must-have for your Italian pantry, get a bag of these yummy classic pasta now!